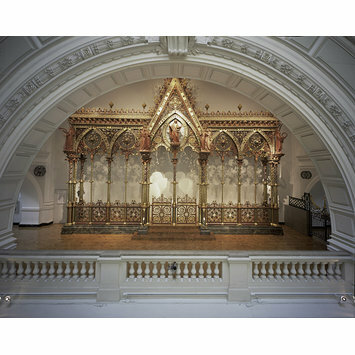 Victorian metalwork choir screen in the Gothic Revival style. Designed by Sir George Gilbert Scott for Hereford Cathedral. 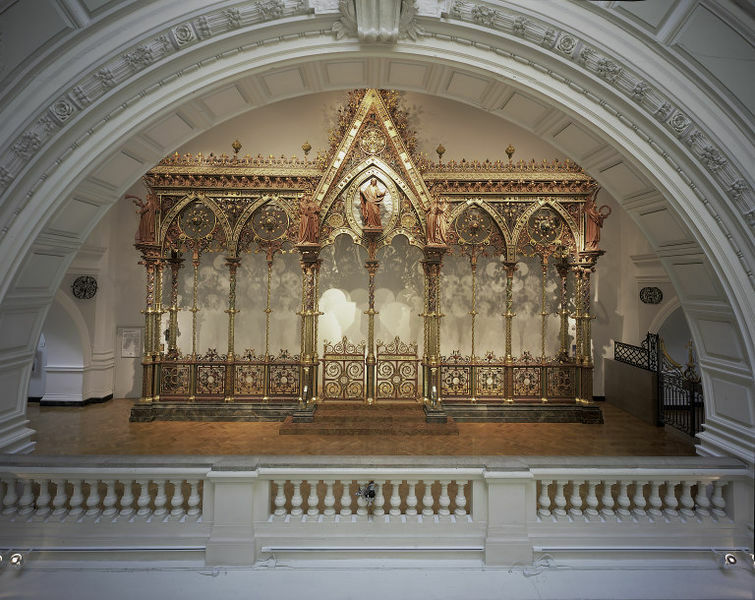 Made in 1862 by Francis Skidmore of Coventry and displayed at the International Exhibition, London before installation in the Cathedral in 1863.